You bought a laptop so you could take it places, and when you do, sometimes you end up walking through a bunch of settings to adjust security and access. If you use your work laptop from home sometimes, or you take your personal MacBook off to the coffeeshop regularly, there are a few ways to make flipping all those switches easier. Network Preferences. Check out that Location menu! Where it says “Automatic” is a menu, so click and hold there and you can see the “Edit Locations…” menu. Choose that and you can create locations as needed. 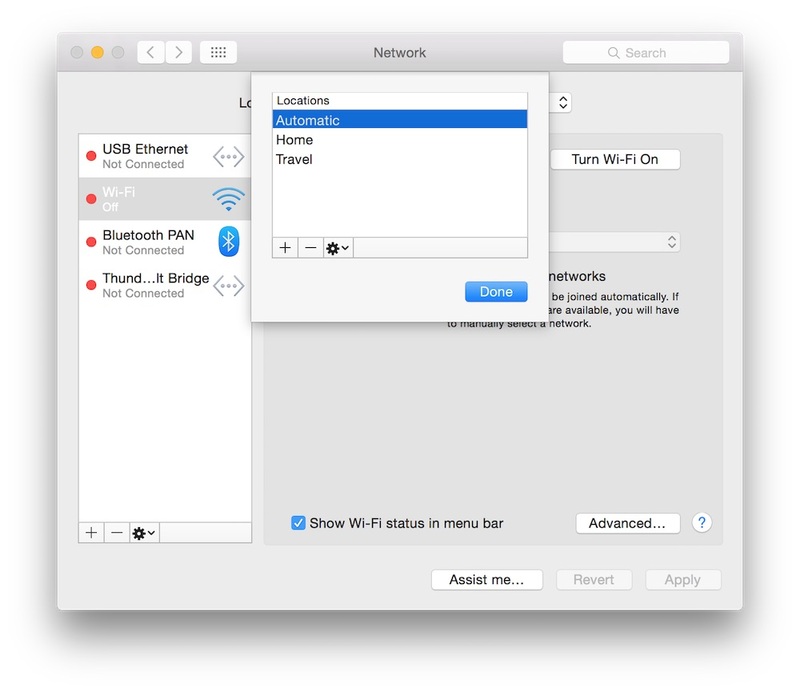 Each of those locations can be adjusted, like using ethernet or Wi-Fi first, and even removing network options altogether (if you don’t use Bluetooth PAN or a Thunderbolt Bridge, you don’t have to keep them around). 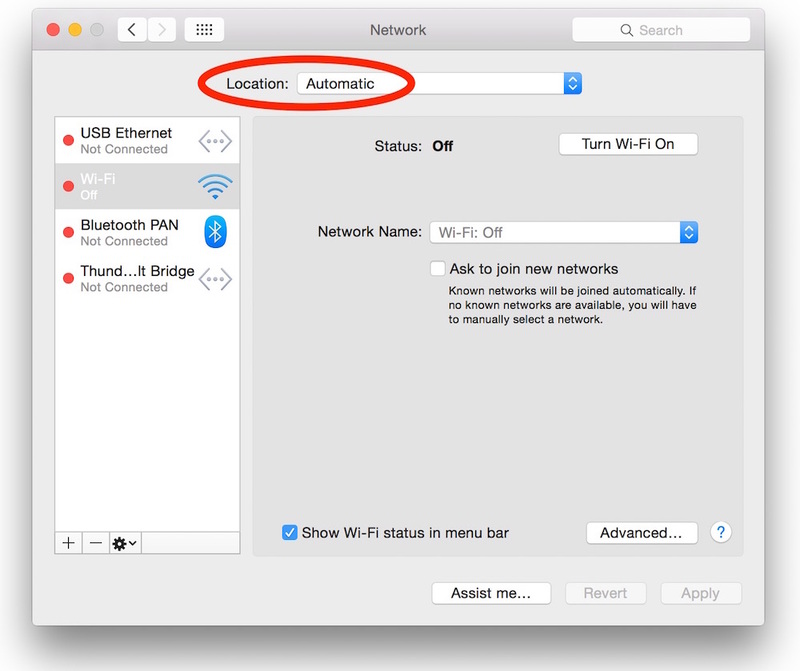 Location list in Network preferences. Add locations for all your...locations. Here’s the magic: Once you add those locations, there’s a new “Locations” entry under the Apple menu. You can go there to flip between Home and Work, or Desk and Coffeeshop, or even just a “Travel” location with a USB modem if you use a USB device for internet access. 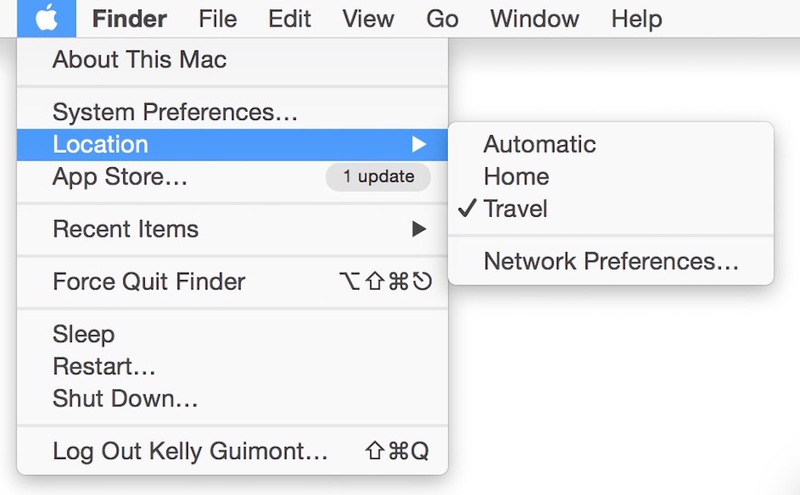 Location menu in Yosemite. Appearing as if by magic! Another option is to use a utility that can customize things even further. There are chains of actions you can assemble (like Avengers!) using AppleScript or third party apps such as Keyboard Maestro. With these, you can launch specific apps or switch your default browser, or automatically connect to a VPN. There’s an app called Sidekick which will make it even easier, changing a variety of options automatically based on your location, so you don’t have to bother with any menu options or scripts at all, just enable Location Services and Sidekick works out the rest.